Insulation is very important in any home and if your energy bills are sky-high, it’s probably because your property is inefficient and you’re losing hundreds of pounds worth of heat every year. 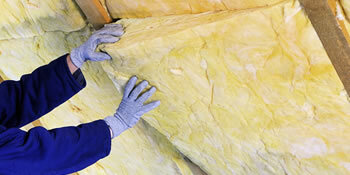 Insulation comes in many forms for the home, depending on which area of the property is required. For instance, loft lagging would be used in the attic, or an insulating foam pumped into you wall cavities. Another example of insulation is double glazing for the windows. But this is all a very expensive process you ask. In actual fact it’s not and is much cheaper than you’d imagine. As well as this, there are grants and Government schemes for you to take advantage of. This includes the insulation scheme HHRCO. The HHRCO (Heating Cost Reduction Obligation) is also known as the Affordable Warmth scheme and helps the most vulnerable homeowners in the UK. With the scheme you can benefit from a grant to help cover the cost of wall cavity and loft insulation, but you must meet stringent eligibility criteria. Be in receipt of child tax credits including a disability element. Remember, if you don’t receive one of the above, it’s still important to consider insulation for your home. Payback can be as little as two years for loft lagging and wall cavity insulation, providing you with decades of energy savings. As the National Grid prices for gas and electricity continue to rise you’ll be able to save even more on a yearly basis too. Project: I need loft insulation done (floor and roof). There are some spotlights cases so some sort of protective covers would be required. Project: Insulate loft space with 2 layers. Project: This is an end of terrace house and the total area is 9m x 5.2m. I need loft insulation to be installed. I propose 150mm between rafters and then 100mm laid at right angles over the rafters.